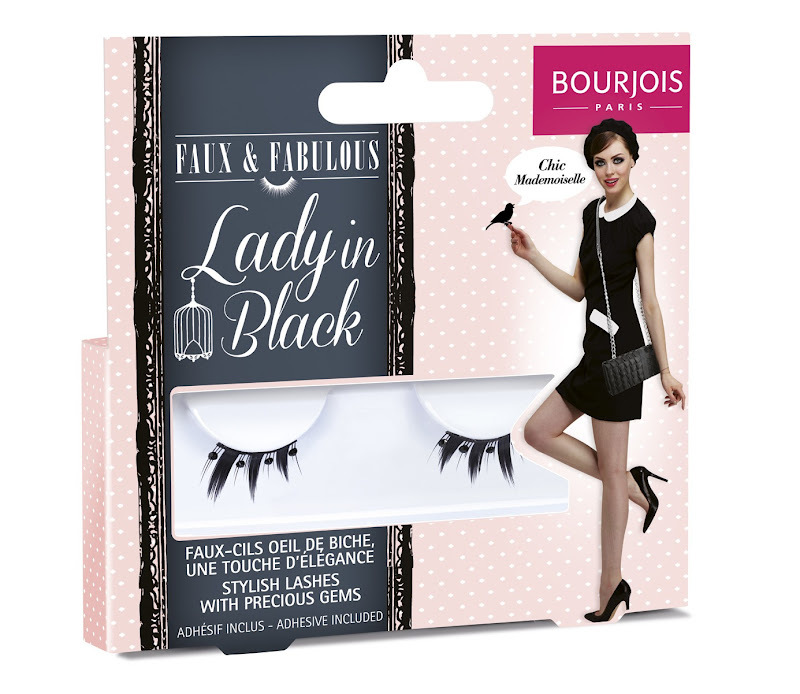 Faux and Fabulous is a new range of false lashes and applicator from Bourjois. A graduated fluttery lash with a thick black lattice effect at the root. 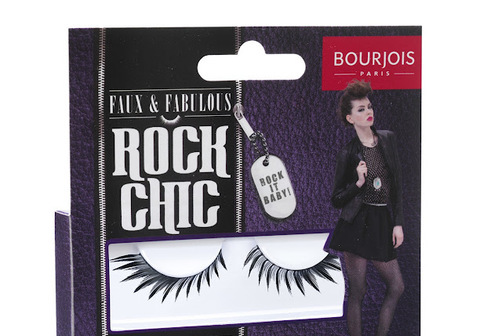 A winged out lash that has finer lashes on the inner corner and thick black lashes at the edges for a feline look. A much finer natural lash that has tons of thin lashes that become denser at the edges of the eye. A half corner lash with a mixture of thick and fine lashes seperated by small black gems. A collaboration with Paperself these are beautiful paper stencil like patterns in a delicate leaf style. If all of this wasn't enough they have launched a handy tool to assist in application. 2-in-1 tweezers and false lash applicator. Resembling a weird pink fish this applicator has a curved grip at one end which allows you to hold the lashes firmly and place them accurately. 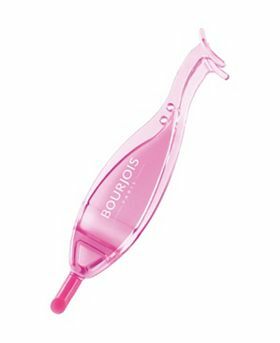 At the other end is a soft hoofed tip which helps to gently press the lashes onto the lash line securely. 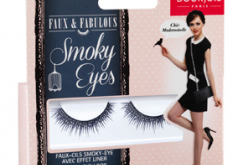 Love the look of the Smoky Eyes lashes! Can't wait to try these and the applicator looks really handy! 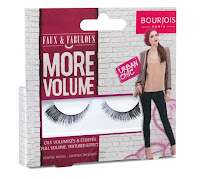 The More volume lashes look fab and wow that applicator, i must try that! 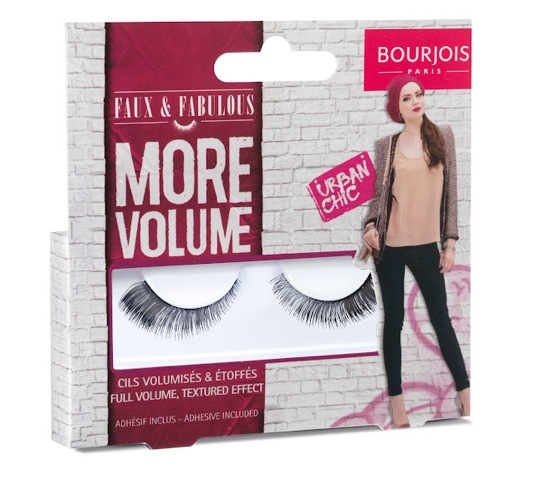 i love lashes, it is so nice just to put on, it can make a look so much better :D but i can't get hold of boujois in norway. oooh these look gorgeous!!! really want some! 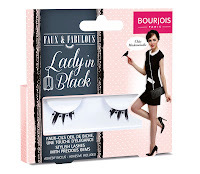 these lashes look fab , i cant wait to try these out and not too pricey either ! hi girls! 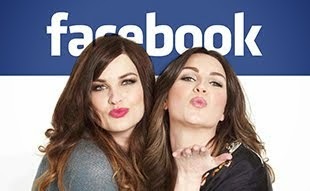 i love your video tutorila,they are fantastic!